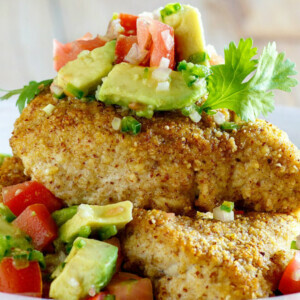 This Tequila Almond Chicken is the perfect weeknight meal that can also serve as a beautiful gourmet dinner. 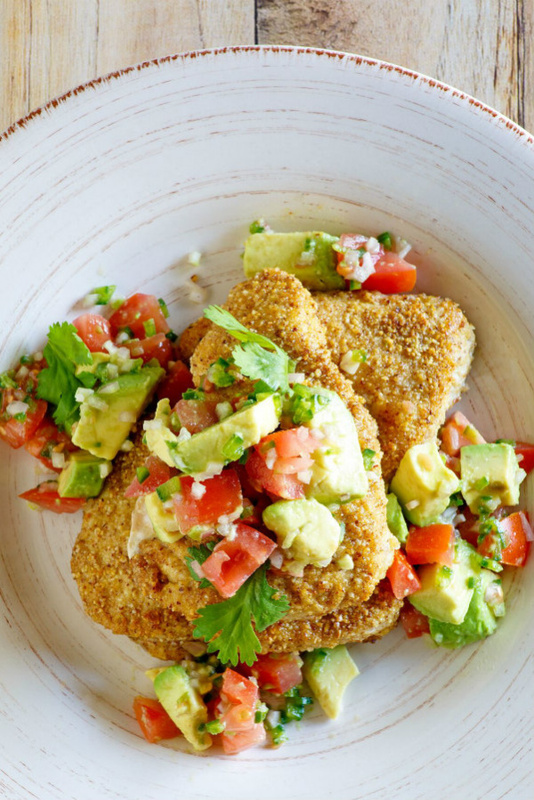 This chicken is topped with a fresh tomato and avocado salad. When working with chicken breasts, it’s helpful to pound them down a bit so they’re all the same thickness. This ensures that all of your chicken breasts will cook through evenly. 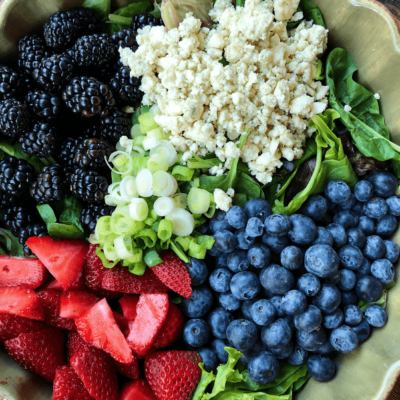 No cutting into one and finding it raw… and then into another and finding it overdone. They’ll all be done at the same time! Marinate the chicken briefly in lime zest, lime juice, tequila and garlic. Coat the chicken in ground almonds + cumin + salt. Fry in butter + olive oil until golden brown and cooked through. Top the chicken with the tomato and avocado salad and serve. 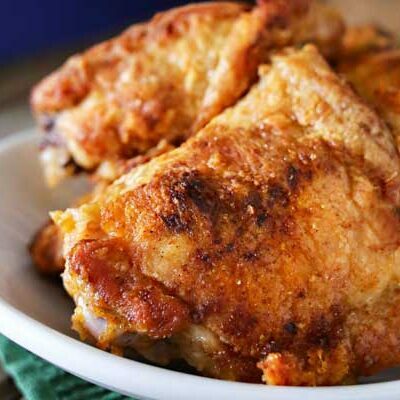 I love this chicken recipe because the chicken has a crispy almond crust with tender chicken inside. You can get some tomato and avocado in every bite. 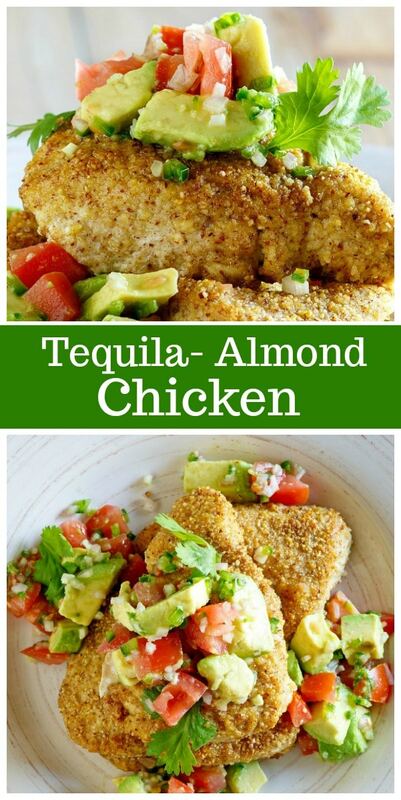 This tequila almond chicken recipe is a keeper! 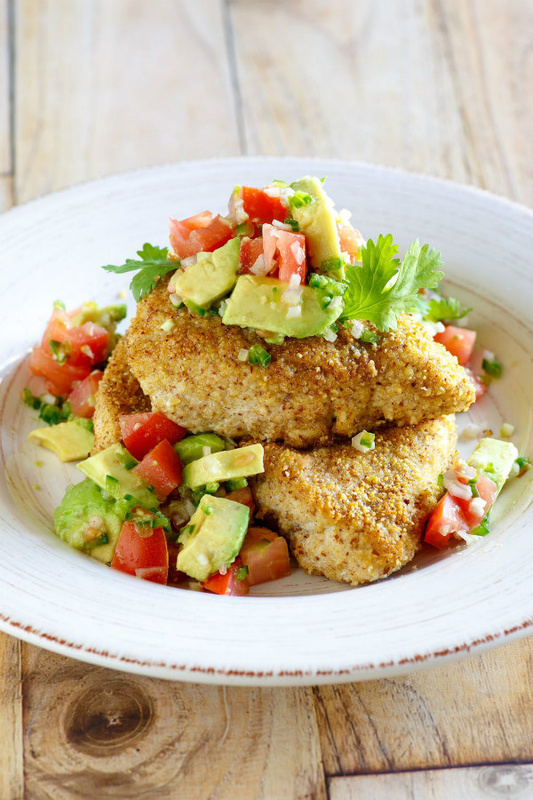 This Tequila Almond Chicken is topped with a Tomato- Avocado Salad. In a medium bowl, combine 1 tablespoon lime juice with the chile, shallot and 1 teaspoon oil. With a rubber spatula, gently fold in the tomatoes and avocado. Set aside while you prepare the chicken. Using a meat pounder, lightly flatten the chicken breasts so they're all the same thickness. In a large shallow dish, combine the lime zest and 1 tablespoon of the lime juice with the tequila and garlic. Add the breasts and turn to coat with the marinade; set aside for 10 minutes. 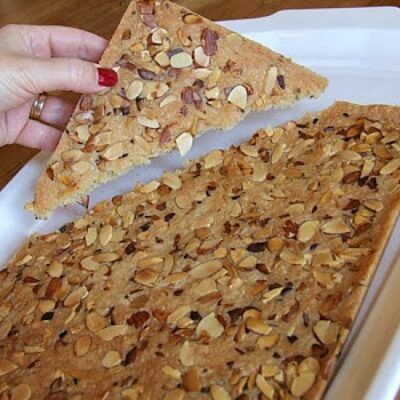 In a food processor, finely grind the almonds; do not over-process or the nuts will form a paste. Transfer to a large plate. Add the cumin and 1/2 teaspoon salt and toss well. In a large nonstick skillet, melt 1 tablespoon of the butter in 1/2 tablespoon of the olive oil over high heat. Add 2 of the chicken breast halves, reduce the heat to moderate and cook until golden brown on the bottom, about 5 minutes. 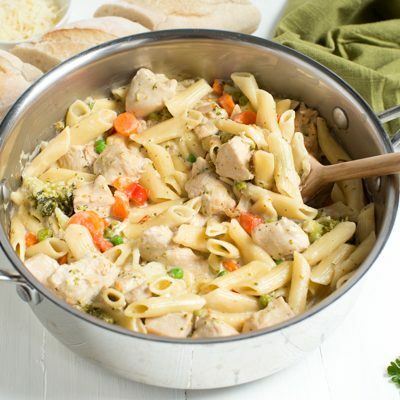 Turn the chicken and cook until browned on the second side and cooked through, 3 to 4 minutes longer. Transfer the chicken to plates and wipe out the skillet. Repeat with remaining butter, oil and chicken. 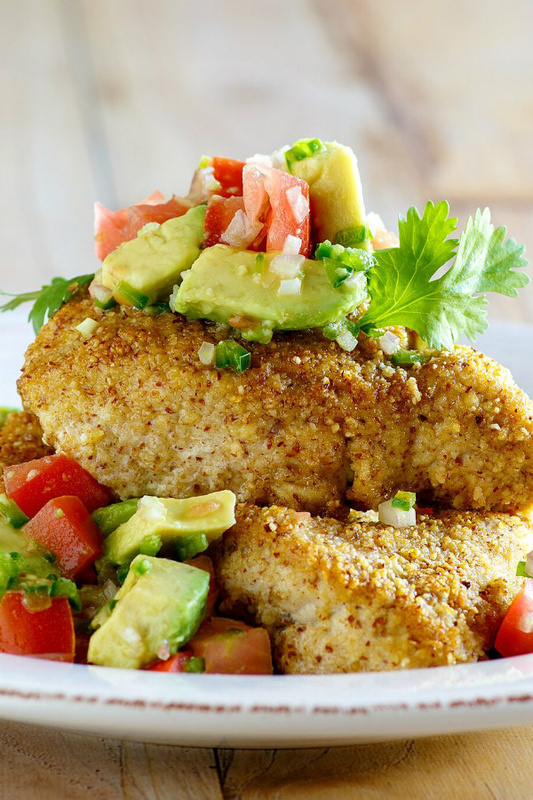 Season the tomato-avocado salad with salt and pepper, spoon it over the chicken and serve.